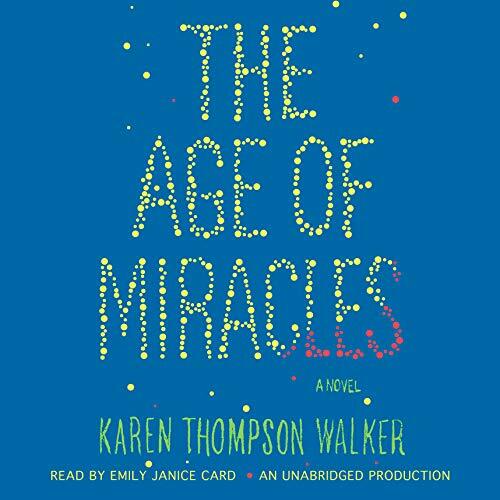 With a voice as distinctive and original as that of The Lovely Bones, and for the fans of the speculative fiction of Margaret Atwood, Karen Thompson Walker's The Age of Miracles is a luminous, haunting, and unforgettable debut novel about coming of age set against the backdrop of an utterly altered world. "It still amazes me how little we really knew... Maybe everything that happened to me and my family had nothing at all to do with the slowing. It's possible, I guess. But I doubt it. I doubt it very much." 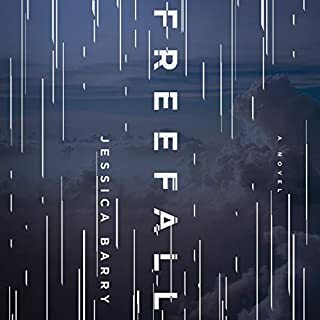 On a seemingly ordinary Saturday in a California suburb, Julia and her family awake to discover, along with the rest of the world, that the rotation of the earth has suddenly begun to slow. The days and nights grow longer and longer, gravity is affected, the environment is thrown into disarray. Yet as she struggles to navigate an ever-shifting landscape, Julia is also coping with the normal disasters of everyday life - the fissures in her parents marriage, the loss of old friends, the hopeful anguish of first love, the bizarre behavior of her grandfather who, convinced of a government conspiracy, spends his days obsessively cataloging his possessions. As Julia adjusts to the new normal, the slowing inexorably continues. ...to the excellent quality of the reviews that have already been written here about Age Of Miracles. 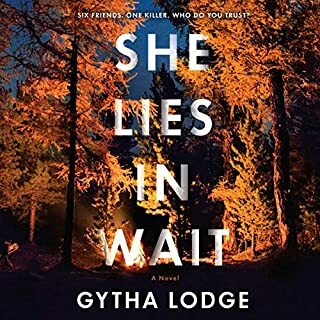 Like others have commented, YA is not my usual genre, and if this book had not been marketed as speculative fiction, I would surely have missed it. I'm very glad that I did not. Seeing the changing world through young Julia's eyes is quite remarkable, and the author maintains a rhythm and a style (throughout nearly all of the book) that is both consistent and powerful. "Of course," I eventually thought, "this is exactly the way it would happen. People would continue to live their lives, fall in love, argue with family members, interact with their pets, make plans, have dreams of the future." This simple and pure quality is what distinguishes The Age of Miracles from other dystopian fiction I have read, and it takes the voice of a child on the brink of adulthood to convey it. I also agree, however, that the ending is abrupt, and damages the otherwise smooth flow of the novel. I'm not sure what else there was to say, but the transition of years could have been more artful, and I am surprised that her editors did not insist on it. While this is not always the case, I am quite certain that I would not have enjoyed this book as much in print. Emily Janice Card takes on a challenging task and does it flawlessly. She is apparently in synch with the author's intentions and does not distort the characters with her own interpretations. I sometimes think that the worst readers sit down with a book, completely unfamiliar with it and its intentions, signal for the mike to go live, and start to read. Clearly, Ms. Card understood this book before she began, and it is a masterful performance. To those of you who are undecided about spending a credit for this book, I urge you to do so. I seldom just sit and listen to a book, preferring to let the book accompany me as I do dishes, clean house, or paint. I sat and listened to this book until it was finished. I will not forget it soon. YA books are not my preferred genre. At the onset, I was disappopinted, thinking I had somehow been duped into purchasing a YA novel, and thus was expected to relate to the everyday events of a 12 yr. old girl. As the book progressed, I still wasn't loving this. I felt like I was being read a 7th grader's Dear Diary, listening as she wrote about training bras, boys, and snooty cliques - all more important than the sudden mysterious global changes. 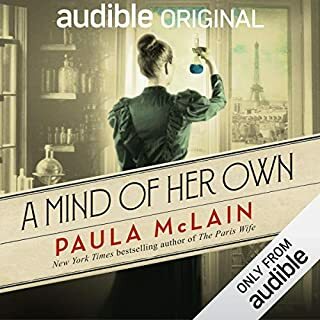 But, what author Karen Walker does so effortlessly and well is keep true and authentic to young Julia's view and voice; and I found myself getting to know this girl, and becoming engrossed in her sincere story. And suddenly the book worked for me. Parents sometimes joke that egocentric teenagers see themselves as the center of everything, and the events of the world as a backdrop; but it is that concept that makes this story so appealing, and prevents the "spin" or scientific accounting of events from turning this story into just another end of the world read (which is actually all somewhat irrelevant here). Julia is more self aware and observant than this stereotype teen, but still has a bright innocence and naivete that endears her to the listener (reminiscent of the narrator in The Lovely Bones) and makes this story all the more wistful and bittersweet. We care more about this tender, observant young girl than the chaos going on around her. Emily Card does a remarkable, and very convincing job, reading and conveying the emotions of Julia. It isn't a big speculative fiction blockbuster; there are no dynamic moments or peaks and valleys, rather, it is a consistent flow from the heart as Julia observes her self, her family, and her world, and the world (planet) on their propspective paths of change. I was pleasantly surprised by the depth of this book, and the emotion it brings to the surface, and think it works equally well for adults and YA. There's been buzz about this book for quite a while now, and I have anxiously awaited it's arrival. While other books in similar situations recently have been a disappointment, this book deserves the recognition it's quickly garnered. Our story is told by Julia, an 11 year old only child of a doctor and part-time teacher. She is enjoying a happy, typical childhood in Southern California, until the fateful Saturday that the news goes public; the rotation of the earth is slowing. As both days and nights continue to grow in length over time, and the 24 hour clock looses all meaning in relation to the days and nights, the entire landscape of Julia's childhood and anticipated future begin to change. Some of these changes are easily anticipated, while others come as more of a surprise. The book is told in past tense; allowing you to wonder as you progress through her story where Julia is now, and who we, her anticipated audience, are to be. The other benefit of the past tense is that while the story is being framed from the point of view of an 11 year old child, there is a subtle undercurrent of adult regret in the telling, as the older Julia tells us of that terrible first year of "the slowing". There is also something adult in Julia's growing discomfort of clocks; ticking away time she fears they no longer have, propelling them into a future she doesn't think she wants. The narration, performed by Emily Janice Card (yes, Orson Scott Card's daughter) also added greatly to the tone of the book, mixing child-like storytelling with tones of quiet nostalgia adults will recognize and respond to. The author was very true to her point of view; at one point I found myself frustrated that we still hadn't really heard much about the economic fallout of the situation, until I realized; through the lens of an 11 year old girl, the focus will fall onto other matters. Once embraced, that fact seems to give the story it's authenticity. At 9 hours in length, this book is not long; but as 11 year old Julia acknowledges, "Sometimes the saddest stories take the fewest words." A well written, well read, sad and touching story. This book started rather slow, but I stayed with it and felt rewarded with the quiet and powerful ending. SO many books are page turners when it comes to plotting, and the there's a crash landing at the end when it feels like the author lost interest or just didn't know how to deliever a satisfying ending. Not so here. The ending was perfect and poignant. Also, perfect choice of narrator. 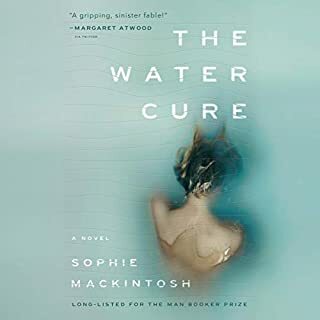 This was an intriguing first novel; the authors imagination is pretty amazing, the way she describes the things that were happening to the world were frightening real. This story is beautifully written and is a slow boil with no running around trying to save the world, there is nothing to run from or run to, it is just living in a mixed up world where days and nights have become confused and the earth has slowed and is de-magnetizing/losing gravity. Just to go on trying to live your life when everything has changed but these changes are not seen and only sometimes felt. As she says it’s not that there are explosions or war or rioting in the streets, the world is not on fire it is just quietly changing. This is such a different dystopian because it’s well, quiet, is the only word I can come up with, it is a quiet dystopian, yes that describes it. 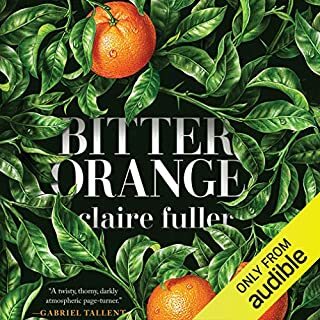 And even as that I was enthralled with this book I didn’t want to stop listening I wanted to know what happened next. It ended just as quietly and it was a satisfying ending. I don’t know how old Julia was supposed to be (listening on audio must have missed it) but I thought Emily Janice Card did a good job at the narration she made her sound not too young or too old. Her narration was very well done. The Age of Miracles is told from the perspective of a girl named Julia, who reflects back on the time when she was 11 years old. She relates the details of her life and the events that took place back then, focusing primarily on a phenomenon known as "The Slowing," when the Earth began to rotate more slowly on a continuous basis. Minutes and hours continued to be added to each day, and it affected daily life on every level. Society became separated between the "real-timers" who woke and slept to the Earth's natural rhythms and who believed that their bodies would adjust just as the Earth had; and the "clock-timers" who still lived by the 24-hour clock and woke and slept no matter whether the sun or moon was shining. The "real-timers" became ostracized by the "clock-timers," who felt threatened by them. The "real-timers" eventually established communities of like-minded folks, so there was a complete segregation of society. As the days stretched longer and longer, it also had an impact on the crops which could no longer be sustained because of the lengthy periods of darkness. People began to stock-pile and hoard canned food and other non-perishables in the event of a global famine. Some forms of wildlife begin to die off. The change in gravitational pull wreaked havoc on airplanes, the tides, and just about anything in motion. As people faced what they feared was the beginning of the end, divorce rates and suicides sky-rocketed. For the rest that remained, they battled to fight depression and the many other symptoms that plagued them as a result of the change in gravity. "And it seems to me now that the slowing triggered certain other changes too, less visible at first but deeper. It disrupted certain subtler trajectories: the tracks of friendships, for example, the paths toward and away from love. But who am I to say that the course of my childhood was not already set long before the slowing? Perhaps my adolescence was only an average adolescence, the stinging a quite unremarkable stinging. There is such a thing as coincidence: the alignment of two or more seemingly related events with no causal connection. Maybe everything that happened to me and to my family had nothing at all to do with the slowing. It's possible, I guess. But I doubt it. I doubt it very much." Narrator Emily Janice Card is new-to-me, and I thought that her voice was perfectly suited for young Julia. Her tone has an ethereal, dream-like quality, which I really enjoyed. This is Walker's debut novel, and I look forward to reading more from her! MY RATING: 4 stars!! It was really good, and you should put it on your "To Be Read" list. What I liked best about The Age of Miracles is that it made me think. Walker's plot is a very unique idea, that the Earth's rotation is decelerating and the book chronicles many of the environmental and societal problems caused by The Slowing through Julia, the 11 year-old narrator. I did have some problems with the lack of scientific details, inconsistencies (school remains open, utilities seem to work fine, but trees, whales, and birds are dying in massive numbers), and some things that just plain didn't make sense (wheat can no longer be grown, but peanut butter is available? Peanuts are a fairly temperature sensitive crop, and even with adequate water, temperatures above 95 degrees F can severely impair development of the crop.) What saves this from being a true disaster of a book is that Walker uses Julia to remind us that even in the face of a huge environmental disaster which we can't fix or control, life in some way still goes on. Julia poignantly talks about her loneliness, 6th grade, and embarrassment at not yet wearing a bra, while the Earth and society are changing in ways that can't be predicted. This book made me think about the concept of time, and it probably didn't hurt that I saw The Fabric of Time Nova episode while I was reading the book. The book also made me think about our own environment, as The Slowing seemed to be loosely linked to climate change. It probably also didn't hurt that I read Bill McKibben's terrifying article in Rolling Stone while I was reading this book. 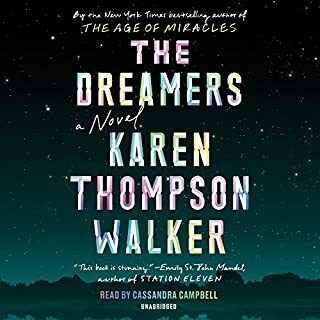 I give The Age of Miracles a solid 3.5, rounded up because it made me think about so many other connected concepts. I only wish that Walker had better written her really original idea. I really enjoyed listening to this book. It's a sad story but easy to go through. Kinda leaves you with bittersweet flavour in the end. I was left with sort of a big Why?! but overall i enjoyed it and the narrator is really good!